The trigger cable can be plugged into a standard 24-hour timer or environmental controller. 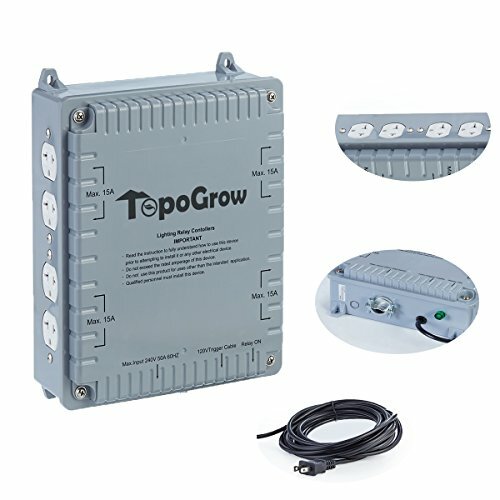 This premium quality industrial grade relay has eight 120/240 volt style outlets which allow running your ballasts at 120/240 volts without having to change out your ballast power cords. Please read the entire instructions before attempting to install and operate this unit. If you are unfamiliar with electrical wiring and circuits, we strongly recommend that you consult with a licensed electrician and/or have the unit professionally installed so that it meets local & national codes.